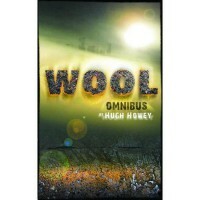 I have a bad habit of picking books to read by the cover and title so I ignored this book for over a year, thinking Wool? Wool what? This book kept turning up on lists, in reviews as a book enjoyed by just about everyone who read it soooooo, I finally broke my rule and bought this for my Kindle. This was a fast, tense, mind bending read that reminded me of nothing as much as High Rise by J.G. Ballard, even though this book charts a dystopian future and High Rise is set in current time. The under laying themes of paranoia, mindless violence and deteriorating culture are present in both books. I am not going into the plot here as that has already been addressed in multiple reviews on this site. I'll just say that this is the first story collection of three, maybe more, that concern the Silo histories. I would give you more of my reaction but I have to sign off now and pick up the Shift Omnibus which is part II.